SHANGHAI — Imagine an Apple Store with a coffee shop open only for people who own an iPhone. Behind that, there's a day care center you can rent for children's birthday parties and a small stage for performances. And, of course, there are the company's products on display. This is how Chinese electric vehicle startup Nio hopes to engage with its customers, through carefully designed areas in branded stores. It's all part of an ambitious plan by founder William Li to reshape what it means to be a lifestyle brand. Under the slogan "A space for Nio's users and friends. A joyful lifestyle beyond the car," Nio has opened 13 such houses throughout China, with more planned this year. When Nio entered the automotive business, it tried to answer a question other automakers may take for granted, said Steven Zhao, Nio's vice president of User Centers. "Nio is a new player in the vehicle industry, and the first question we have to answer is, 'Why do people really need a car?' " said Zhao. "This is a foundational question. If we cannot give the right answer, we don't have any opportunity to become a huge player in this industry." The Nio Houses are part of the company's answer. "We do believe users are not only buying a car for the product and technology. A new design, new technology and [being] faster are not enough. In this new era, we believe, users just want a joyful lifestyle," he said. Nio may be onto something. 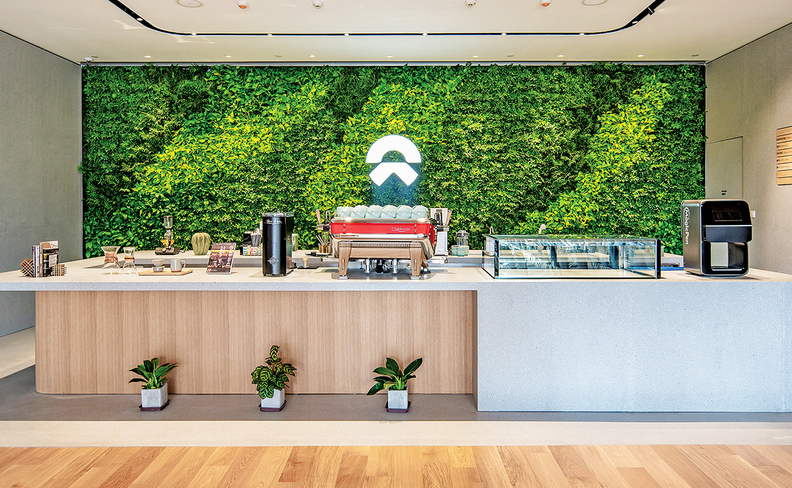 Mark Colosimo, global director of data and analytics at Urban Science, said some dealerships in the U.S. that have added coffee shops or cafes are finding they've earned some quirky, loyal customers. One dealer Urban Science works with has a woman who comes in regularly for coffee or doughnuts. "He loved her because she would talk up the dealership, saying how great the salespeople are," Colosimo said. But cafes are not a guarantee for success, he said, given most people don't want to go to a dealership to hang out. But Nio thinks it will build a deeper relationship with its customers. Nio's advertising shows potential Nio House users taking to the space to form bands, hold a fashion show and make movies, among other things. The ad emphasizes the sheer size of the Nio Houses. The Beijing one is over 32,000 square feet across two floors, for example. The interior of the Shenzhen Nio House was designed by the architectural firm Chapman Taylor and is over 22,500 square feet. The typical Nio House has seven main areas, although the layout and specifics differ in each one. The Forum is a small theater for discussions and presentations. 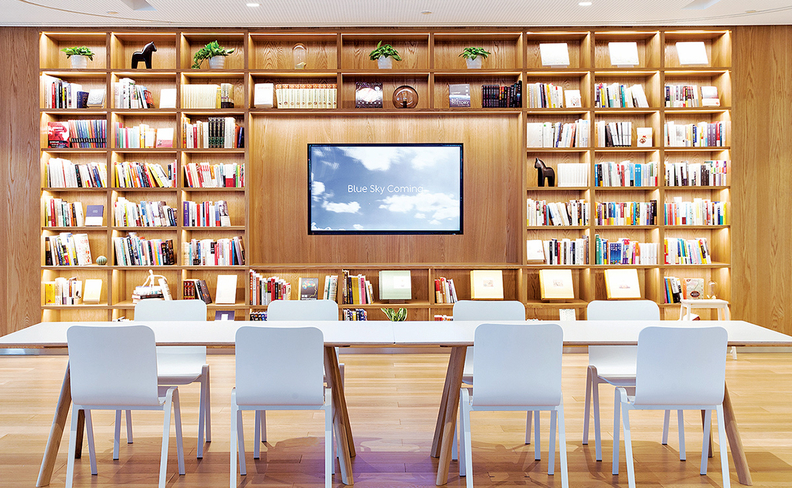 The Lab is a workspace that Nio members can book for their own meetings. The Living Room is a social space. The Library has over 1,000 books and other items; Nio calls it "a museum to share knowledge." The Open Kitchen is a coffee shop, and each Nio House offers its own signature drink as well as a blue "Nioccino." The Joy Camp is a kids corner. Finally, the Gallery looks a lot like a typical high-end automotive showroom, with the company's vehicles and branded merchandise on display. 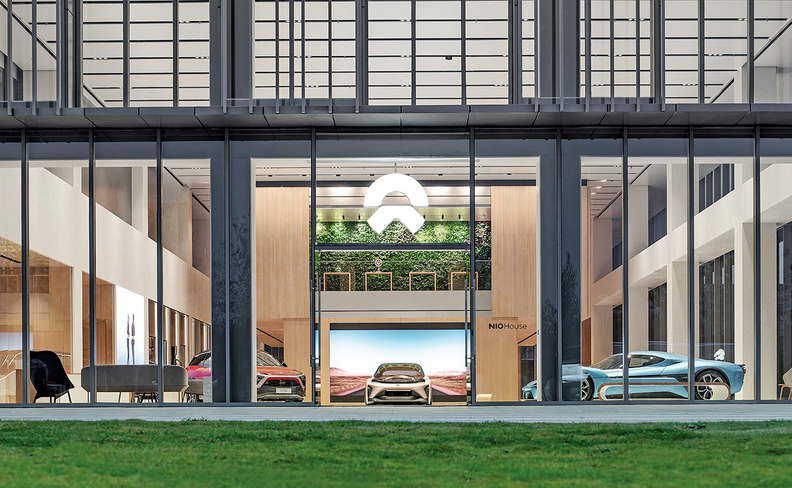 The first Nio House opened in Beijing in November 2017 in a location vacated by an Audi store. There are two types of employees at a Nio House. The Fellow is a point-of-contact person for customers to get information. The Specialist "owns the space" and helps organize events and other requests. Nio's rethinking of the relationship between shopper and automaker goes beyond its Houses and into people's phones. The company's app lets fans collect virtual currency that can be spent in Nio Houses on drinks or Nio-branded clothing. So far, the strategy seems to be working. 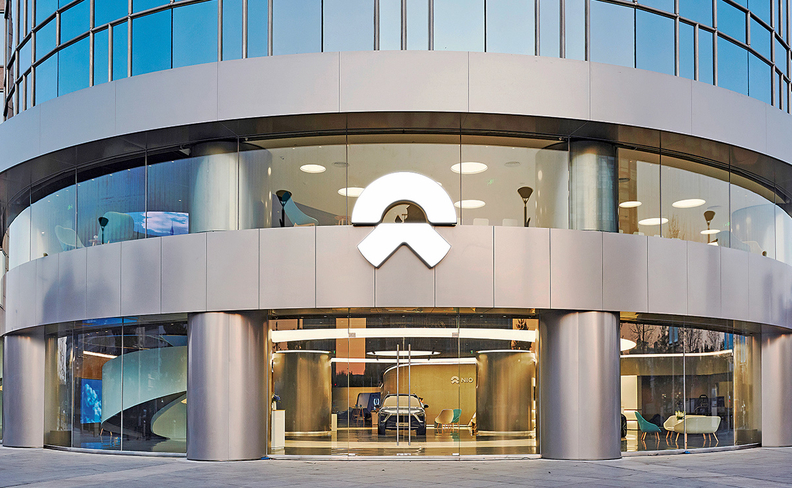 Even with just 10,000 vehicles delivered, the company said in its November earnings call that the Nio app has over 626,000 total active users and more than 170,000 active daily users. Nio sells two vehicles in China, the ES6 and ES8, both all-electric crossovers. The ES8 went on sale in June 2018, and orders for the ES6 started during the company's big Nio Day celebration in December, with the first deliveries scheduled for this June. Customers who are interested in buying one of these EVs have to place an order through either a Nio House or the Nio app. Speaking through an interpreter during a December visit to the Nio House here, Li said Nio's marketing plan is to build a community that starts with cars but doesn't end there. Each country that the automaker expands to will get its own version of the Nio experience, but that may not include the Nio Houses. Li said this market-specific approach mimics what other successful brands, such as Starbucks, have done. China is not a big coffee market, so Starbucks emphasizes its teas there instead. "A good company should have global thinking and local approach," he said. When deciding where to build a Nio House, the company assesses a city's economy, diversity and population. A Nio spokesperson said users prefer Nio Houses to be located in a city's core business district. Before building the first Nio House, the company spent a lot of time designing its marketing approach, said Zhao. Customers "really want to get together and buy the car to explore and discover," he said. "This is much more than a car."